Brainobrain Programme consists of 10 Levels; each Level comprising of 3 months. Classes are held once in a week for 2 hours, usually on weekends. After every 3 months, the child moves up to the next level. All children irrespective of their age are enrolled into the Level I. As they finish the Level I in 3 months, they move to the Level II and go on. The duration of the Level I vary according to the age of the child. 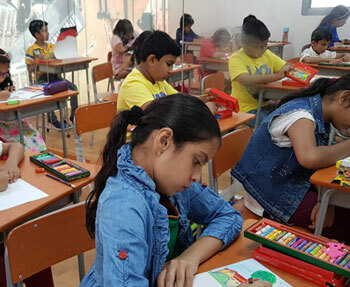 After the completion of every level, your child is entitled for an International Certificate issued by BRAINOBRAIN INTERNATIONAL. Towards the end of each level, your child will have a Model Exam. After the same, your child will have the Main Exam. Based on the performance, your child is now ready to learn the next level. Apart from this, your child will also receive certificates based on the performance in the Regional, National & International Competitions – Brainobrainfests. So by the end of around 30 months, your child would complete the entire 10 levels and you will be amazed to see his performance and the empowerment that your child has acquired after every level. 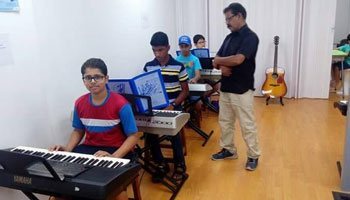 Children are trained to appear for periodical examinations, both theory and practical, conducted by Trinity College of Music, London for Instrumental Music and Akhil Bhartiya Gandharva MahaVidyalaya Mandal, Mumbai for Indian Classic Music & Dance. The examination fee payable will be in accordance with prevailing tariff. 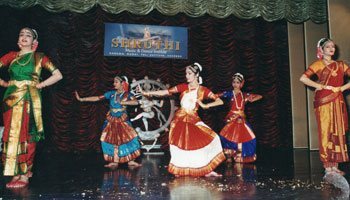 Eligible students are given chances to perform on stage particularly on the occasion of the annual celebrations of the center. Instruments required for instrumental music classes will be available at the center. Students are strongly recommended to provide themselves with instruments for practice at home. Classes are held both morning and evening. Coaching for subjects will be held two times a week for duration of one hour. Fees, which are paying on a monthly basis, vary according to the subject. No refund will be made for classes unattended. Remittance of fees must be made within the tenth of each month. Transport is available at a nominal fee. 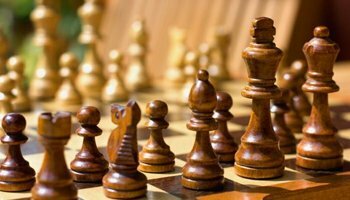 A team of well qualified and experienced tutors ensure that coaching given strictly conform to standards. 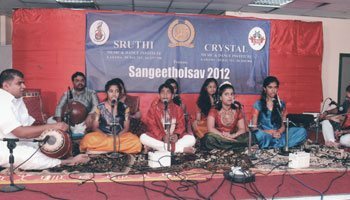 This indeed is the hallmark of Sruthi Music and Dance Training Center for the past 32 years.